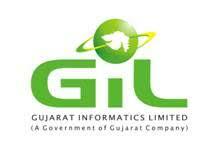 Gujarat Informatics Limited (GIL) has published an Advertisement for below mentionedPosts 2017. Other details like age limit, educational qualification, selection process, application fee and how to apply are given below. 1) A degree of BE or B. Tech. in IT or Computer Science or Computer Engineering or Electronics or Electronics and Communication or Computer Technology from a recognised university. Basic computer knowledge is required. MBA preferred. • Remuneration: Pay Band 15600 – 39100 (Grade Pay – 6600). Approximate Rs. 65,000/‐ CTC per month. Annual increment 3%. The salary structure will increase as and when new policy decisions are taken. DA rates as per GIL’s Policy. • Remuneration: Pay Band 9300 – 34800 (Grade Pay – 5400). Approximate Rs. 50,000/‐ CTC per month. Annual increment 3%. The salary structure will increase as and when new policy decisions are taken. DA rates as per GIL’s Policy.